Please join us for an open informal forum where performing arts companies, managers and producers can learn more about the ITC/Equity agreements and discuss ways to ensure our Independent Theatre sector is sustainable, ethical and thriving. 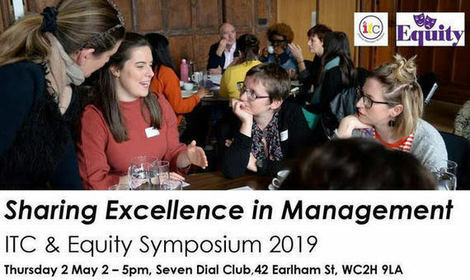 There will be opportunities to hear from a panel of organisations and performers currently using ITC/Equity contracts, as well as a chance for peer learning and a feedback session, chaired by ITC’s CEO Charlotte Jones. This is a great opportunity to learn more and feed into this valuable scheme and network with colleagues in our industry!